I can be often be found gazing longingly (and looking like a bit of a dummy myself) at designer gear in the windows of Selfridges or Harvey Nics. 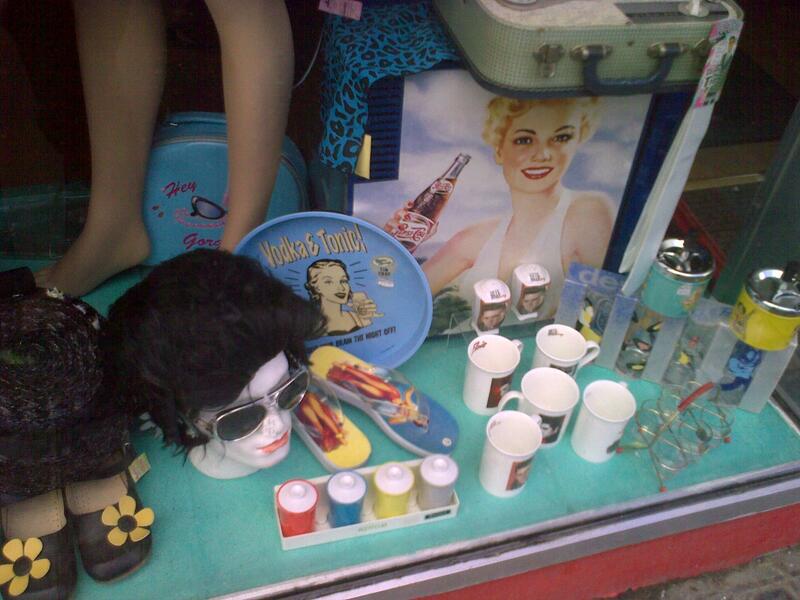 However when it comes to my fav bit of window dressing nothing can beat the camp and kitsch displays to be found at American Graffitti on Hilton Street, Manchester. 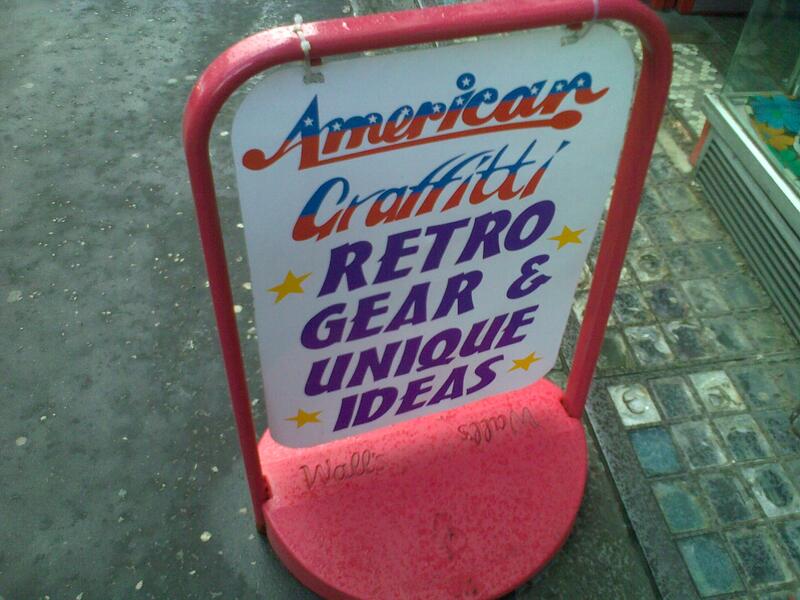 American Graffitti is offers a wide range of vintage clothing, fancy dress, accessories and home-ware. 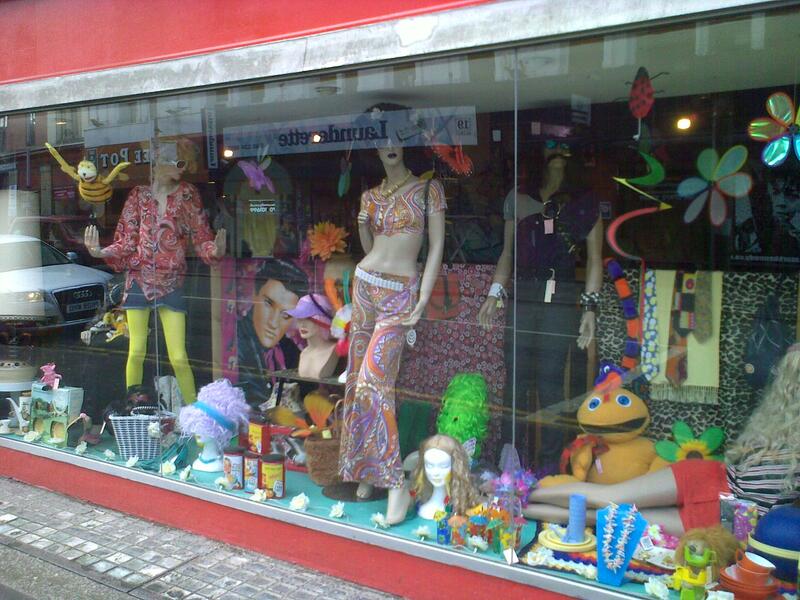 So if you are on the look out for something kooky then pop in and take a peek. You’ll be in good company as the store’s clients include the BBC, ITV and Take That. Manchester Pride is little over little a month away and those of you taking part in the parade will be able to find the perfect outfit here and get 10% off with this voucher. The theme for Pride 09 is heroes… so fingers crossed they have a Sandi Toksvig stylee costume in stock for me!